Being a writer affords me the liberty of creating characters who mean something to me and have characteristics that I like to see. I love getting to know them, then standing back and letting them tell me their story. Caedon Keene: the hot blackbelt who is interested in Autumn. He's sensitive, but deadly which makes him even more alluring. Papi: Autumn's father. He's a baker, and an honest hardworking man. He doesn't understand Autumn's math gift, but believes in her talent. What’s up for grabs on my blog? What’s up for grabs on during the Blog Hop? 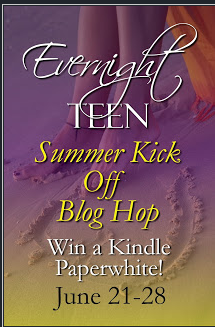 • One lucky hopper will win a KINDLE PAPERWHITE eREADER sponsored by Evernight Teen. 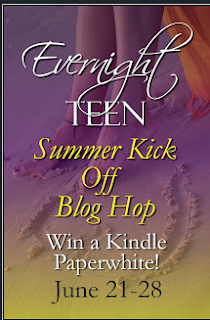 • Every book blogger/reviewer site is giving away one free eBook from Evernight Teen (winner’s choice of any eBook from Evernight Teen’s website). Be sure to leave your answer and your email address in the comments below to be eligible to win an eBook of Unraveled. Continue hopping to the next stop! Here is the Link so you can go on to the next blog for a chance to win more prizes. I dont really have a fave mystery novel...im still kinda new to the genre. I love any of J.D. Robb's books from the In Death Series. My favorite mystery book is Along Came A Spider By: James Patterson from the Alex Cross series. Sherlock Holmes and Along came a spider are two of my favourites. My favourite is the Traces series by Malcolm Rose. My favorite mystery is Cut & Run! Thank you for the chance to enter. I dont have a favorite mystery novel. I read pretty much only romance novels. :) Tho, i have read quite a few with mystery in them! :) Thank you! The Bible is a mystery to me!